DuraVent is a recognized technological leader in the venting industry. Consistently the first to market with new innovations in venting systems, DuraVent has captured a leadership position in emerging markets. DuraVent has patents for several products and continues to design safe and technologically advanced venting.The company’s research into solving problems with corrosion, when biofuels such as corn are used, led to the break-through patent for PelletVent Pro. Scientifically proven materials and unequaled engineering make DuraVent products not only the best choice, or safest choice, but the only choice for professional quality venting products. 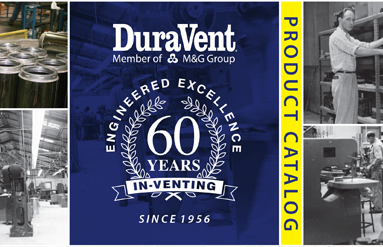 DuraVent’s Engineered Excellence is a commitment to continue this trend, providing the industry with cutting-edge products and refinements to existing products that not only meet the demands of today’s heating products market, but go beyond it.